At first glance it seems as if the atmosphere and the food we consume are completely unrelated; however, this may not truly be the case. There is a phenomenon known as the "great nutrient collapse" that is slowly gaining more and more recognition, and for good reason. The basic idea of the great nutrient collapse is that climate change is affecting our food, and it is mainly for the worse. Specifically it is affecting the nutritional content of our food, and if it continues it could have major repercussions on human health. While this issue has gone virtually unnoticed by a majority of the population, it has been a topic of interest for many scientists since 1998. This occurrence was first discovered in 1998 by a few scientists, as well as mathematician named Irakli Loladze. The scientists were doing an experiment involving zooplankton, which are microscopic animals that reside in the world's lakes and oceans. These microscopic organisms rely on algae to survive, and when light is shined on them, more algae grows which in turn causes the zooplankton to grow. However, during this particular experiment shining more light on the zooplankton did not cause them to grow. It was discovered that the faster the algae grew, the fewer nutrients it contained. Even though there was plenty of algae for the zooplankton to feed on, it did not grow for the algae did not contain enough nutrients. This algae was in essence a junk-food algae, and was incapable of nourishing the zooplankton properly. It is not hard to imagine that this could happen in human food sources. Carbon dioxide plays a major part in how crops grow. Carbon dioxide must be present in order for plants to grow, for it is how the process of photosynthesis takes place. 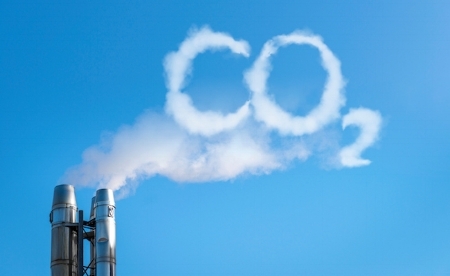 However, it has been observed that carbon dioxide levels have risen drastically in the past years. When there is more carbon dioxide in the air, the process of photosynthesis is sped up. This causes plants to grow, but also causes them to pack in more carbohydrates at the expense of other important nutrients. Scientists have experimented with this idea by growing plants in enclosed spaces with elevated carbon dioxide levels. The plants grown in environments with elevated carbon dioxide were shown to have less nutrients, specifically less calcium, potassium, zinc, and iron. Considering many people already struggle with nutrient deficiencies, it is not hard to see how plants with less nutrients could impact human life. While more scientists are working on this issue than in 1998, many are still unaware of the problem. Thankfully, more and more research is being done in order to deepen the understanding of the issue and educate those who are unaware of it. While research of this subject will take time and patience, it is important to understand just how climate change can impact the food we eat. If you are interested in learning how to live a healthier lifestyle, contact AboveFit Training located in Los Angeles, California. We specialize in a holistic approach to health and fitness and can help create a customized approach in order to help you achieve your fitness and lifestyle goals.